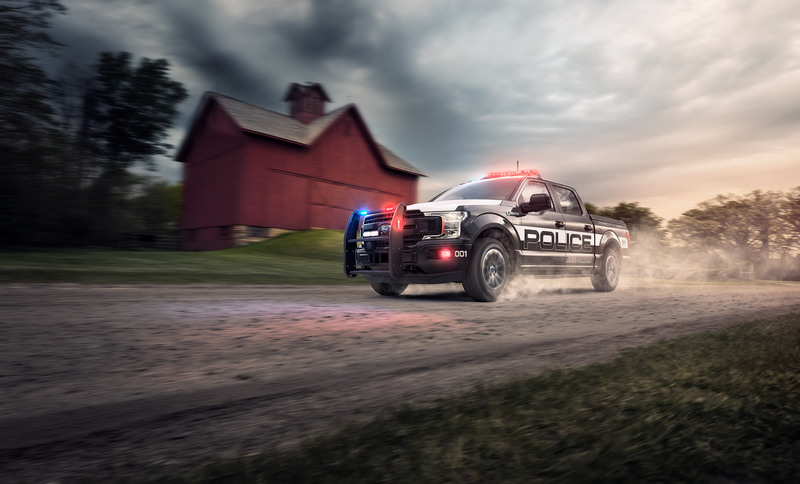 For decades, the Ford F-150 has been the vehicle of choice for many Americans for reasons including its impressive capabilities, industry-leading features, and great engines. For the 2018 model year, the F-150 powertrain options are getting even better. With a new powertrain lineup, the 2018 Ford F-150 is more capable, smarter, and tougher than ever. In fact, it delivers best-in-class towing, payload, and efficiency. The second-generation 2.7-liter EcoBoost engine offers a best-in-class EPA-estimated 20 mpg city, 26 mpg highway, and 22 mpg combined. 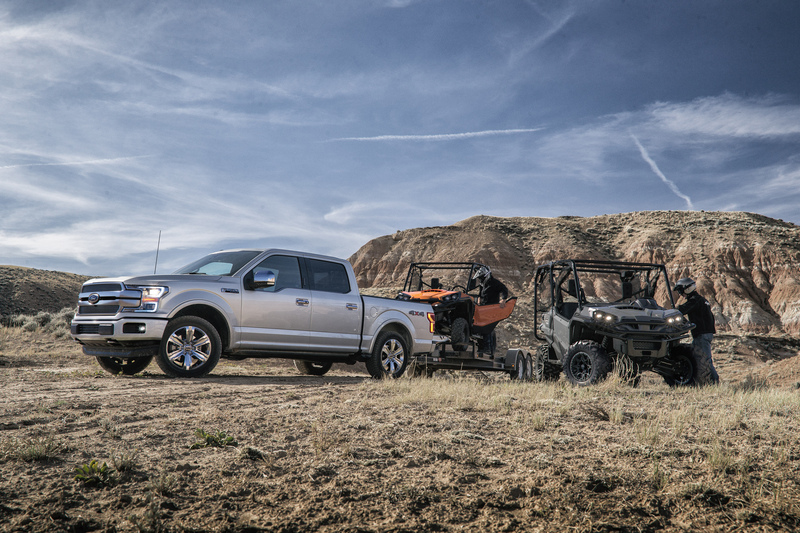 * The 3.5-liter EcoBoost engine delivers best-in-class towing at 13,200 pounds and payload capacity at 3,270 pounds, when properly equipped. In addition to better capabilities, the 2018 F-150 comes with bold new styling, more advanced features, and a segment-exclusive SelectShift® 10-speed automatic transmission. This model year also offers the first diesel-powered F-150 with a 3.0-liter Power Stroke® turbo diesel V6 and will be available next spring. If you are ready to experience the most advanced, capable pickup ever, come test drive the 2018 Ford F-150 at L&L Motor Co. today. What’s New on 2018 Ford F-150? It’s no secret—the Ford F-150 has been America’s favorite truck for decades now. 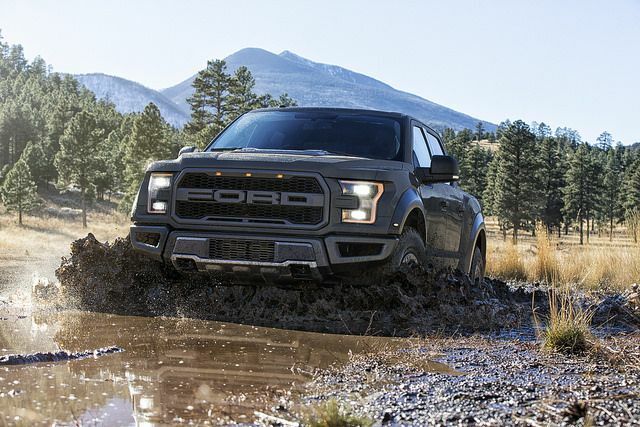 That’s thanks to Ford’s ability to anticipate the consumer’s ever-changing needs and deliver a truck that’s both modern and classically capable. In sticking with tradition, the new 2018 Ford F-150 keeps the recently added aluminum body and other F-150 standards while adding updates fit for the new model year. Here’s what’s changing. The muscular body of the 2018 F-150 gets a bold updated with a new grille, a new tailgate, and fresh headlights. LED accent lights surround both the high- and low-beam headlights for a distinct design, and separate the upper and lower tail lights as well. The 2018 F-150 also receives an all-new wheel design. One of the biggest pieces of news regarding the light-duty 2018 Ford F-150 is the first-ever diesel engine option. Ford has yet to release specifications on the 3.0-liter turbo-diesel V6, but it promises to be a popular option. The revised EcoBoost 2.7-liter V6, the 5.0-liter V8, and the new 3.3-liter V6 will also be available as powertrain options. Higher trim levels of the 2018 Ford F-150 can be equipped with the premium Bang & Olufsen Stereo System. The available adaptive cruise-control and the forward-collision-warning system are both more intelligent and more autonomous than ever, providing smarter driver-assist technologies. Plus, the newly available 4G LTE Wi-Fi hotspot can quickly turn the 2018 F-150 into a mobile office. The new 2018 Ford F-150 is going to be a favorite at L&L Motor Co. We hope you’ll stop by to take this impressive pickup for a spin. Ford is the latest automaker to join the NFL’s growing list of automotive sponsors. To celebrate and kick off its sponsorship, Ford is offering tailgate parties and rides to football games via ride sharing service Uber. 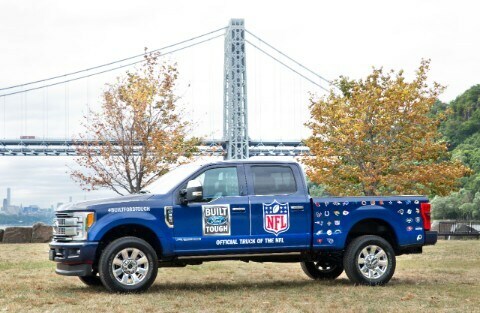 Ford’s NFL sponsorship is a three-year deal and officially makes Ford the official truck of the NFL. The toughness of the NFL is perfect for the Ford brand which puts an emphasis on strength, durability, and toughness, as indicated by the “Built Ford Tough” motto. In addition to becoming the official truck brand of the NFL, Ford’s sponsorship also comes with a few other perks. First, the automaker will develop a fleet of Super Duty trucks designed for tailgate parties. Second, pickups will be available to give customers a ride to the game and also features a ticket giveaway. Finally, Ford will hold a contest with tickets to the Super Bowl as the top prize. We here at L&L Motors couldn’t be happier to see two of the toughest brands combining forces with a three-year deal! 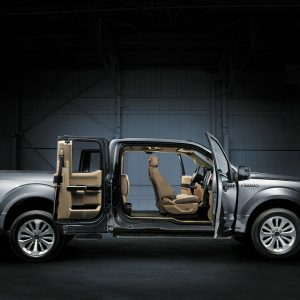 A lot has already been said about the Ford F-150’s unique aluminum body. The aluminum alloy helps make the Ford F-150 the toughest truck in the automotive industry! What might be less obvious is that the F-150’s use of aluminum makes it one of the greenest vehicles in the industry as well. 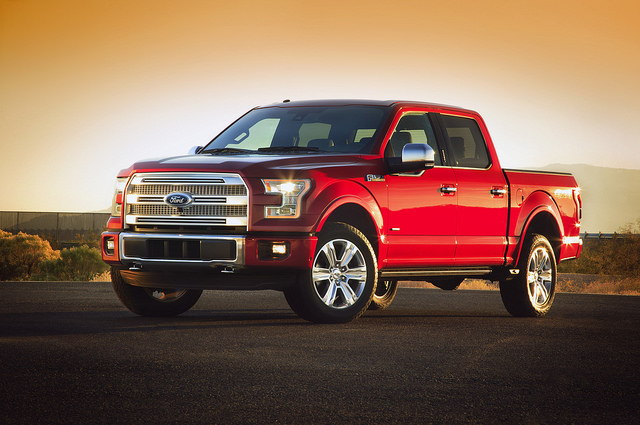 Ford recycles enough aluminum in a month to make 30,000 Ford F-150 trucks. Each month, Ford recycles a total of 20 million pounds of aluminum. That aluminum is then repurposed to create a new fleet of Ford F-150 vehicles. How does Ford save so much aluminum to be reused? Using the closed-loop system at Dearborn Stamping Plant, Ford is able to repurpose unused aluminum in their vehicle manufacturing. That’s good news for the environment, especially because the use of recycled aluminum avoids 95 percent of the greenhouse gas emissions that result from primary aluminum production. For a truck that is guaranteed to keep you and the planet safer, go for the aluminum standard of the Ford F-150. The all-new Ford F-150 is inspiring people around the nation to go further—but it isn’t just appealing to those who have tons of gear to haul around or to our customers at L&L Motors. Leaders Farm in Napoleon, Ohio has created a seven-acre corn maze in tribute to the Ford F-150—and when we say “tribute,” we don’t just mean that it wrote “sponsored by” on a sign next to the cornfield. No, the maze itself is shaped after the iconic pickup truck. One of Leaders Farm’s other attractions is Big Jack, a huge pumpkin cannon mounted to a Ford F-450 Super Duty truck. It can launch pumpkins nearly half a mile thanks to a compressed air tank that weighs 500 lbs. and develops 30 psi of pressure. Wow! 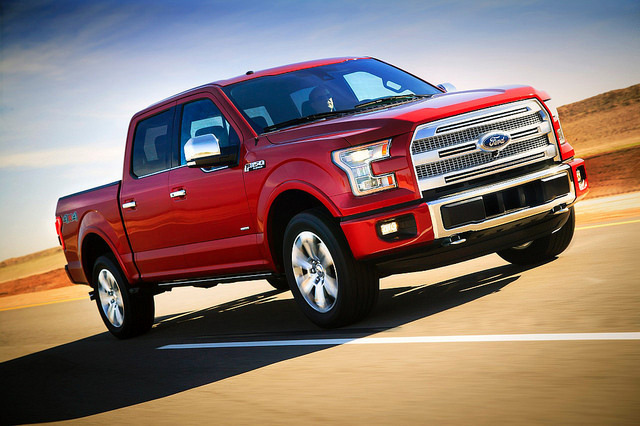 Much of the 700 pounds were saved by using high-strength, aerospace-grade aluminum alloys throughout the F-150 body, not only reducing weight but also improving dent and ding resistance. Ford also increased the use of high-strength 70,000-psi steel from 23 percent to 77 percent of the frame, improving stiffness and durability while saving about 60 pounds. No wonder they’re selling like hotcakes at L&L Motors!